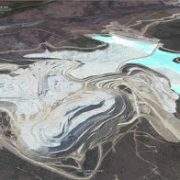 SkyTruth just posted a small gallery of images showing growth of the Fort Knox open-pit gold mine, north of Fairbanks, from 2003 to 2007 (thanks to Google Earth for adding historical imagery). The mine opened in 1994, and in 2007 received approval from the state of Alaska to expand their operation to include a cyanide heap-leach process. 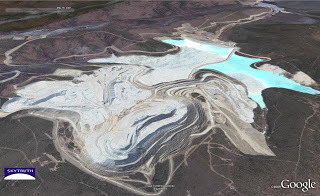 By 2007 the footprint of this mine was about 3,000 acres. Coal Dust Threat in Seward, Alaska North Slope – Dirty Snow?